We are living longer and more productive lives, and prosthodontists are achieving remarkable success in treating patients who need dentures, dental implants, and teeth whitening, as well as patients who have traumatic injuries or need complex restorations. Our team's skill and dedication make these new and exciting advances possible. At Princeton Restorative & Implant Dentistry in Princeton, NJ, it is our goal to provide our patients with the absolute best dental care that science and technology has to offer. We strive to attain this goal every day by providing the most comprehensive individual dental care available. 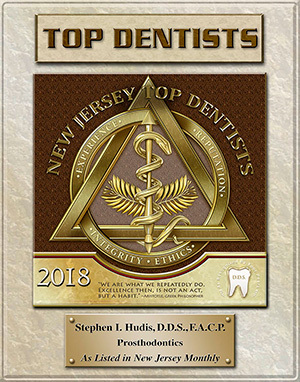 Our dentists and prosthodontists, Dr. Stephen Hudis and Dr. Greg Hughes, along with our knowledgeable staff are committed to each patient’s personal dental health and well-being. Please feel free to contact our Princeton dental office to schedule an appointment. Our team members are dedicated, highly skilled, and well-educated professionals. We will be happy to answer any questions you may have regarding the care and maintenance of your oral health. Call Princeton Restorative & Implant Dentistry today at (609) 924-7910 or request an appointment online!